This lovely hotel can be found in Bad Hofgastein. The accommodation features a total of 67 accommodation units. Those who dislike animals may enjoy their stay, as this accommodation does not allow pets. Facilities and services include wireless internet in lobby (extra charge), breakfast area, an indoor swimming pool**, sauna (extra charge), ski storage and car parking. The apartments are equipped with TV, telephone, living room, dining room, kitchen, oven, dishwasher and balcony/terrace. **Please note that the following amenities can be used at Hotel Alpina which is located approximately 150m from the Apartmenthouse. * Note: Reception with limited opening hours. Please advise flight number and estimated arrival time when booking this hotel. * **Cleaning is not included, it is available for an extra charge payable directly to the hotel** **Final cleaning compulsory payable directly to the hotel, approx. 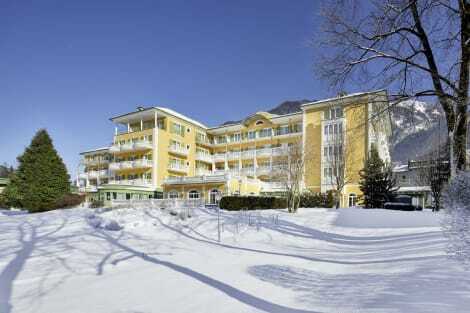 48 € per apartment/per stay** Address: Parkstrasse 26, 5630, Bad Hofgastein, Austria. Make yourself at home in one of the 17 guestrooms, featuring kitchenettes with refrigerators and microwaves. Flat-screen televisions with cable programming provide entertainment, while complimentary wireless Internet access keeps you connected. Conveniences include safes and coffee/tea makers, and housekeeping is provided on a limited basis. This lovely hotel can be found in Bad Hofgastein. A total of 65 units are available for guests' convenience at AKZENT Hotel Germania Gastein. Both wired and wireless connections are available for guests' convenience at the communal areas. This accommodation offers a 24-hour reception service, so that guests' needs will be fully met at any time of the day or night. Pets are not allowed at AKZENT Hotel Germania Gastein. Make yourself at home in one of the 198 guestrooms. Rooms have private balconies. Complimentary wireless Internet access keeps you connected, and cable programming is available for your entertainment. Bathrooms have bathtubs or showers and hair dryers. Take advantage of recreational opportunities offered, including an indoor pool, a spa tub, and a sauna. Additional features at this hotel include complimentary wireless Internet access, ski storage, and tour/ticket assistance. This lovely hotel is in Bad Hofgastein. A total of 31 guests rooms are available for guests' convenience at AlpenParks Residence Bad Hofgastein. Wired and wireless internet connections are available at AlpenParks Residence Bad Hofgastein. The reception is open 24/7. Those who dislike animals may enjoy their stay, as this property does not allow pets. 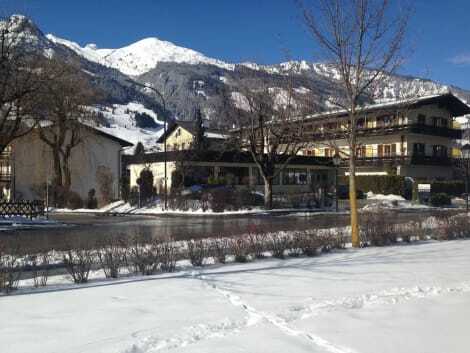 Just 150 metres from the Alpentherme Thermal Spa in the centre of Bad Hofgastein, Kur- und Sporthotel Winkler offers a spa area, a fitness room, and a range of massages and therapies. The Schlossalmbahn Cable Car is 800 metres away. The spa area includes a sauna, steam bath, and infrared cabin. Radon thermal water is used for various therapies and treatments. Guests can book the services of an in-house physiotherapist. Medical gymnastics and Nordic walking are offered. All rooms at the Winkler Kur- und Sporthotel come with a balcony, a flat-screen cable TV, and a bathroom. A rich breakfast buffet with a selection of organic dishes is offered every morning. The restaurant serves Austrian and international cuisine and game dishes from the hotel’s own hunting grounds. In summer, an à la carte restaurant is also at guests' disposal. Guests can play table tennis and benefit from free WiFi in public areas. Bicycles are provided free of charge, and ski passes can be bought at the reception. The Winkler Hotel offers a garden with deck chairs, and free private parking is available on site. A carport can be used at an additional cost. From December 2016 on guests have unlimited free access to the Alpentherme Gastein. Hiking and cycling trails start at the doorstep. The Gastein Golf Course is 5 km away and offers reduced green fees to guests. The Gastein Card is included in the rate. This card offers many free benefits and discounts in the region. lastminute.com has a fantastic range of hotels in Bad Hofgastein, with everything from cheap hotels to luxurious five star accommodation available. We like to live up to our last minute name so remember you can book any one of our excellent Bad Hofgastein hotels up until midnight and stay the same night.